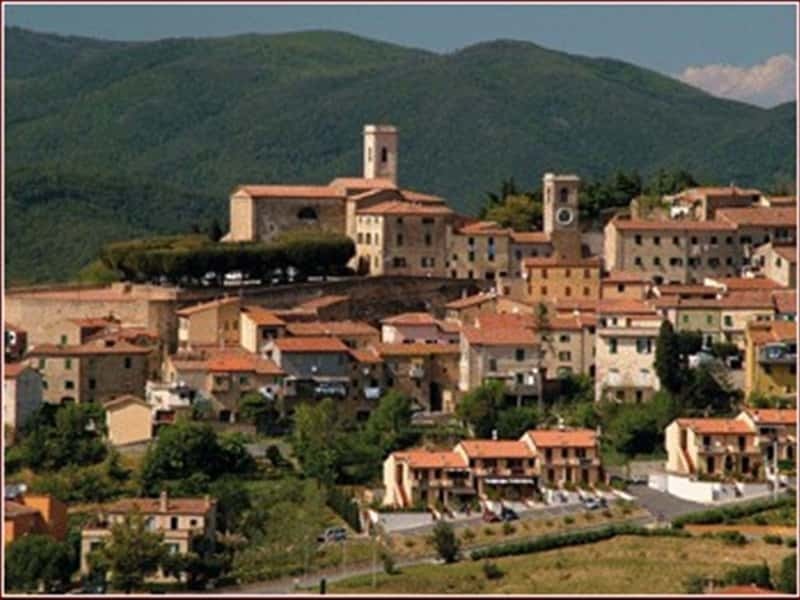 Montescudaio is set on the first hills of the Cecina Valley. Originally it was a Benedectine monastery and then became an important medieval village due to its strategic position. The place name probably derives from "Mons Scutorum", meaning "Mountain of Shields" or "Mount of esquires". Montescudaio is quoted for the first time in an official document dating back to 1091 and referring to the donation of the Count Gherardo della Gherardesca of a church entitled to Saint Andrew to the Benedictine nuns, who lived in a monastery that was previously built by the same count. Despite the Gherardesca's Counts lived in Pisa, they exercised for a long their jurisdiction on the village of Montescudaio and on the monastery too. The Counts rebelled against the Pisan Republic by allying in 1345 with the troops of the Milan Dukedom who was sent by Luchino Visconti. At the beginning of the XV-th century the Gherardesca's Counts subdued to the Republic of Florence and consequently the village of Montescudaio was under the Florentine jurisdiction. At the end of the same century, owing to the Counts' activities against the Republic of Florence, this latter confiscated their properties, among them also Montescudaio that was definitely annexed to the Florentine possessions. The Church of Santa Maria Assunta was rebuilt after the 1846 earthquake (it preserves an eighteenth century marble statue and a seventeenth century Venetian school painting of the Annunciation) it is not the most ancient place of cult, since it inherited in 1416 the name of the old convent dedicated to the Virgin which still stands in a place called la Badia, the Abbey. The Guardiola tower, the XVII Palazzo Ridolfi, the XVIII Palazzo Guerrini and Villa Pucci are interesting too. This town web page has been visited 26,425 times.